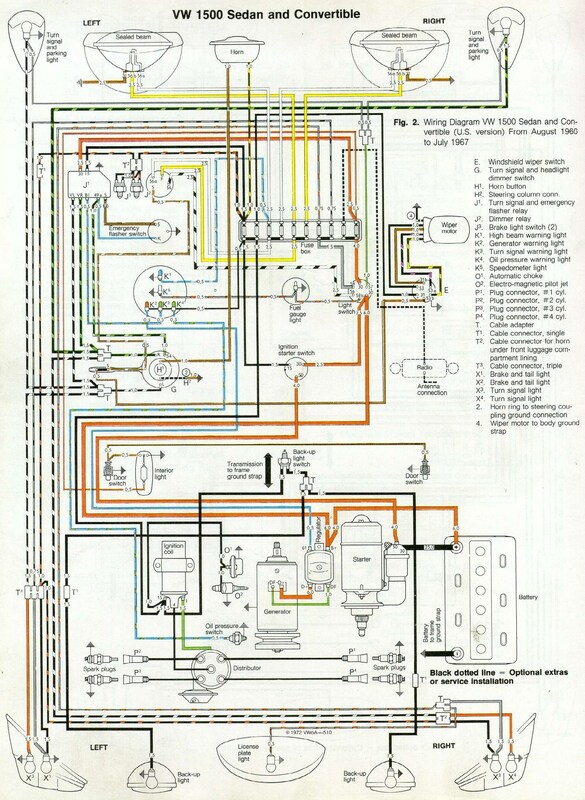 Lane Russell has received quite a few emails asking for the correct wiring diagram for the one year only ’67 Beetle. Illustrated above is the VW 1500 sedan and convertible (U.S. version) from August 1966 to July 1967 in all its glory. You can download it in a much larger format as well. Ahhh! Looks like a page from the famous Bentley manual! What would be the difference between this US version and the UK version for the 1500 sedan?